After about a year and a half of development, Texas A&M University-Commerce and South Texas College in late January unveiled a new, innovative response to Gov. Rick Perry's $10,000-college-degree challenge. Since Gov. Rick Perry issued his famous — some skeptics might say infamous — call in 2011 for Texas universities to develop $10,000 bachelor’s degrees with textbooks included, he has proudly noted the announcements of more than a dozen degrees purporting to meet that challenge. But only one degree on that list takes into account the cost of textbooks and, rather than simply tweaking the price tag on existing offerings, derives its savings from a fundamental reconsideration of the way students experience higher education — and it only just launched. In late January, after a year and half of development, Texas A&M University-Commerce and South Texas College unveiled their new, innovative bachelor’s of applied science in organizational leadership degrees, which were developed in partnership with the Texas Higher Education Coordinating Board. The new program, which is offered entirely online, allows students to advance through their lower division coursework as soon as they prove mastery of a concept — a mastery they might well have had when they enrolled. It is priced at $750 per seven-week period, which includes the cost of electronic textbooks. Students can knock out as many courses within that time frame as they're able to complete without a change in the price. Students coming into the program with no college credit are expected to be able to complete the degree in about three years for a total cost of between $13,000 and $15,000. If students enroll with 90 credit hours already under their belts, they should be able to complete the degree in one year for between $4,500 and $6,000. Students are guided through the process by what Davis called “an adviser on steroids,” who will work with them weekly. He believes that the personalized nature of the program will lead to higher-than-normal retention and success rates. But, he insisted, higher success rates should not be interpreted as a sign of ease. Students must score an 80 or higher in order to move on to the next course. “One of the criticisms we heard when the governor made the challenge to offer an affordable baccalaureate degree was that if it’s cheap, then there can’t be any quality or rigor to it,” Davis said. But, noting that a score of 80 is required to pass a course in the program, he said that the new degree will have the same, if not more, rigor than many of the state's traditional programs. The partnership began to take shape not long after Perry’s challenge was issued. Davis met with a group from A&M-Commerce that had been discussing the creation of a degree that allowed students to advance as soon as they demonstrated competency in an area, rather than only after they had sat through a semester’s worth of classes. The idea was inspired in part by Western Governors University, a nonprofit online university with a Texas-centric branch called WGU Texas, which has largely led the way on using competency-based advancement. This new degree — which the coordinating board calls the Texas Affordable Baccalaureate Program — is the first competency-based bachelor’s degree offered by state institutions. The university’s vision corresponded with conversations that had been going on within the coordinating board. Texas Higher Education Commissioner Raymund Paredes insisted that a community college be included in a pilot of such a degree, according to Davis. Shirley Reed, the president of South Texas College, which is one of a few community colleges with a history of offering low-cost bachelor’s degrees, said a surprise phone call from Paredes persuaded her to get on board with the idea. “It made a lot of sense for us to work with these two institutions that were so much further out than any of our other public schools thinking about competency-based education,” Davis said. Reed credited the commissioner with stepping outside of his comfort zone. In 2012, the unique three-way partnership received a $1 million Next Generation Learning Challenges grant, a program led by Educause, a national nonprofit focused on technological innovations in higher education, and the development of the degree began. They decided that it would be an applied baccalaureate, which emphasizes hands-on application, because that allows for maximum flexibility in terms of transferring credit. It was also designed to appeal to employers. The difficult part, Reed said, was hammering out exactly which competencies students needed to master and how to assess the students' performance. The Southern Association of Colleges and Schools, the state’s regional accrediting organization, approved the degree in December, after working with the institutions for about a year. Jones conceded that was not always a sure bet. 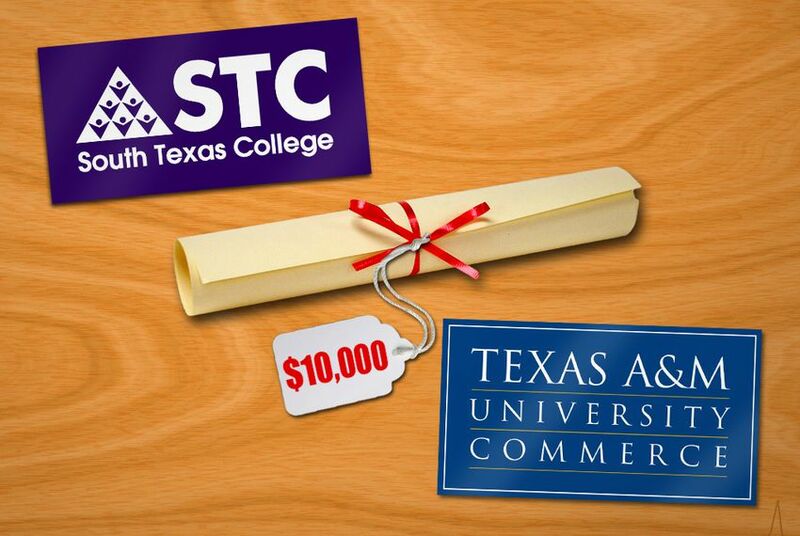 A&M-Commerce currently has eight students enrolled in the program. STC has only a few more. Both presidents said the program was not heavily marketed in advance, and that the small starting classes will allow them to work out kinks in the model. Davis said that by the end of the calendar year, about 250 students are expected to be participating in the two programs — a number that is expected to roughly double annually in coming years. Jones said they expect to have 3,000 to 5,000 students within five years, many of them veterans and mid-career professionals. “I believe there is a huge potential out there,” he said.